With expansion into new business areas and a growing palette of products, Geistlich’s corporate identity was due for an update. In December 2015, Geistlich engaged us to renew the brand design program. Collaborating closely with Geistlich’s in-house design team, we developed a more flexible look and feel and a framework for aligning marketing materials more clearly to brand architecture. We realigned fonts, colors and image style to brand values and marketing needs, and developed a new illustration style that was more closely aligned to key brand messages. 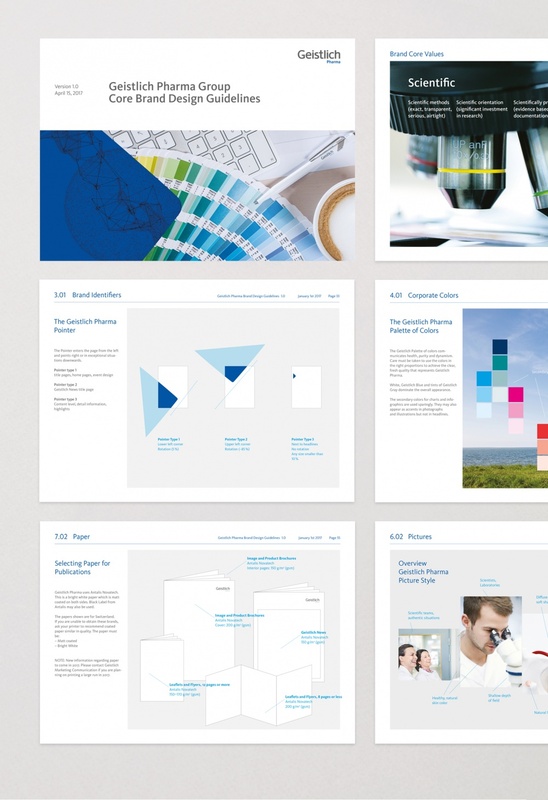 New templates and new brand guidelines were released in January 2017. Design review, workshops, new key visuals, review and expansion of design elements; creation of a framework for aligning design to brand architecture, new templates and new brand design guidelines.